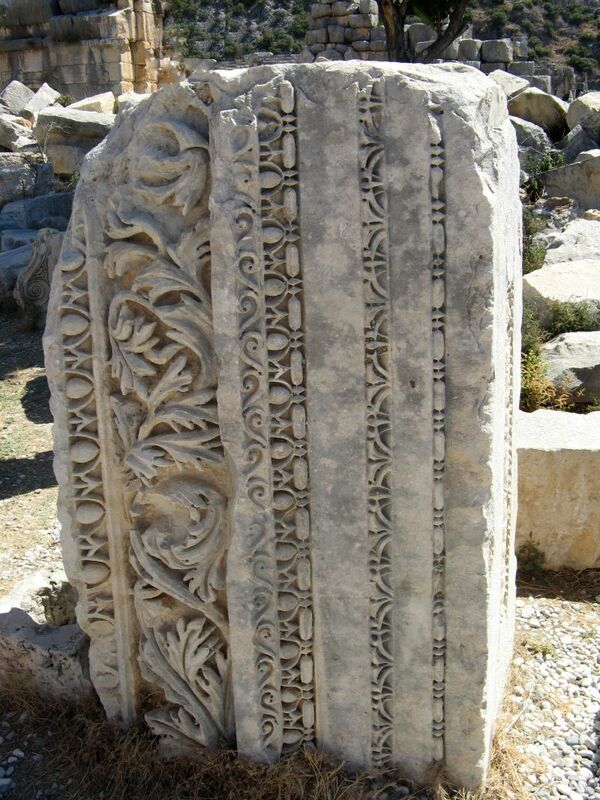 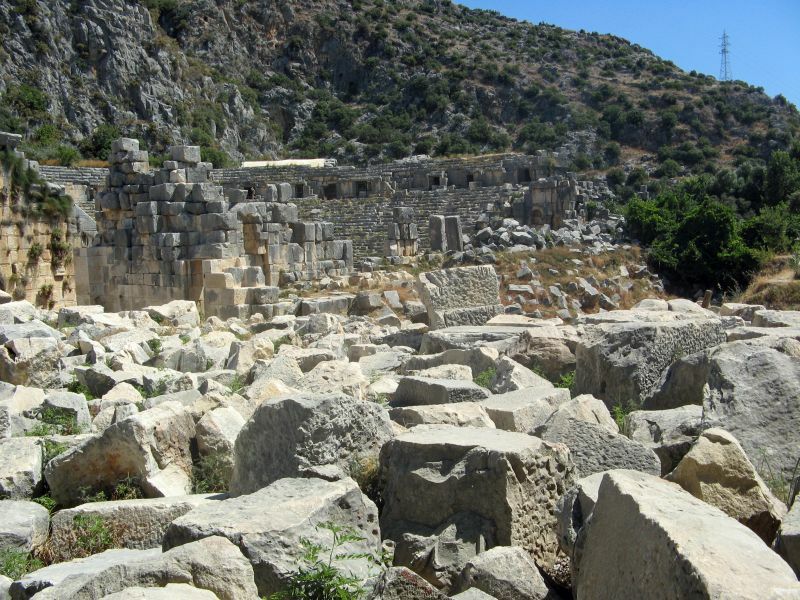 The ruins of the Lycian and Roman town Myra are mostly covered by alluvial silts. 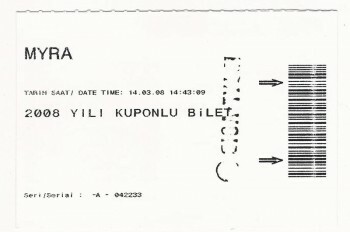 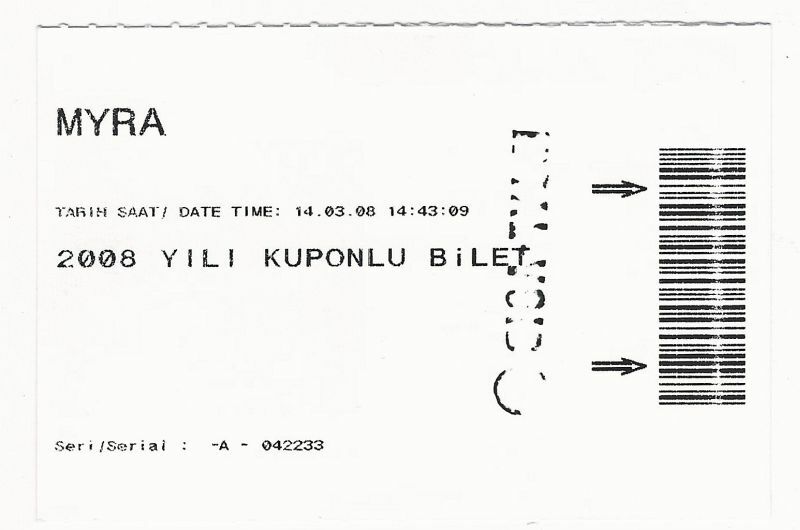 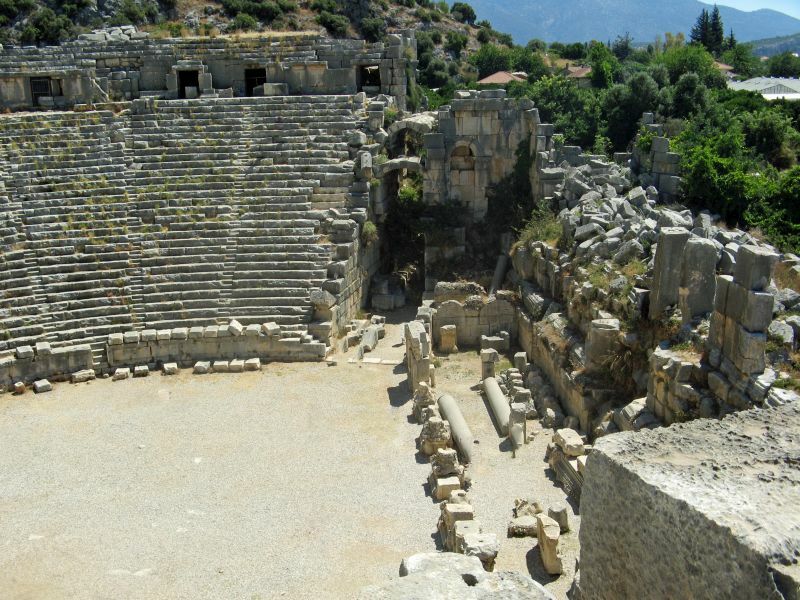 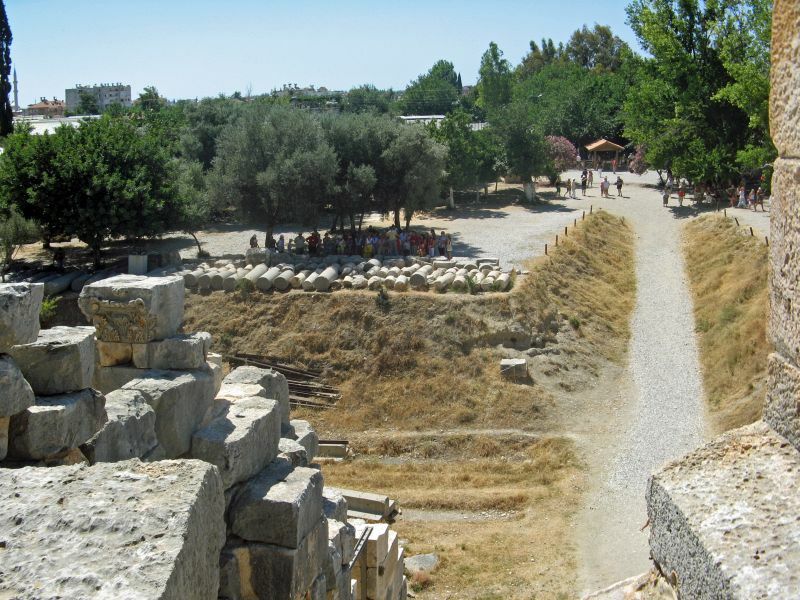 The Acropolis on the Demre-plateau, the Roman theatre and the Roman baths (eski hamam) have been partly excavated. 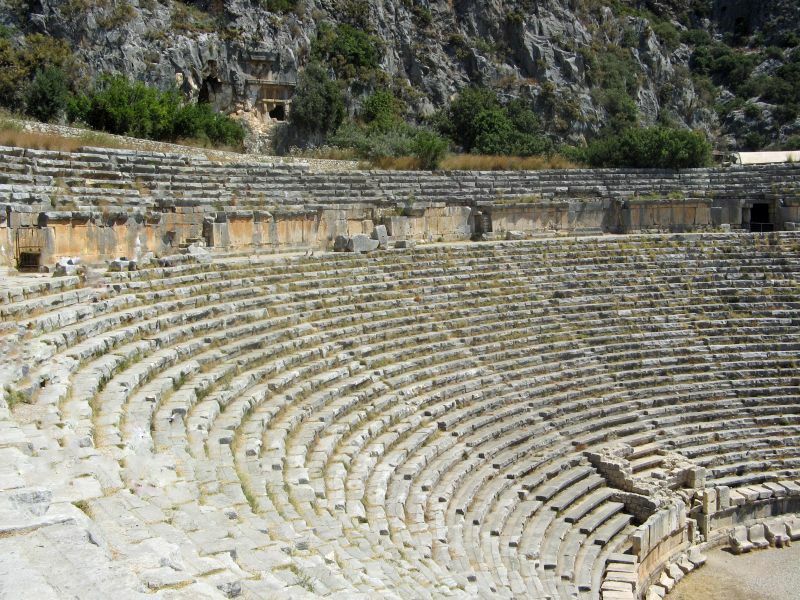 The semi-circular theater was destroyed in an earthquake in 141, but rebuilt afterwards. 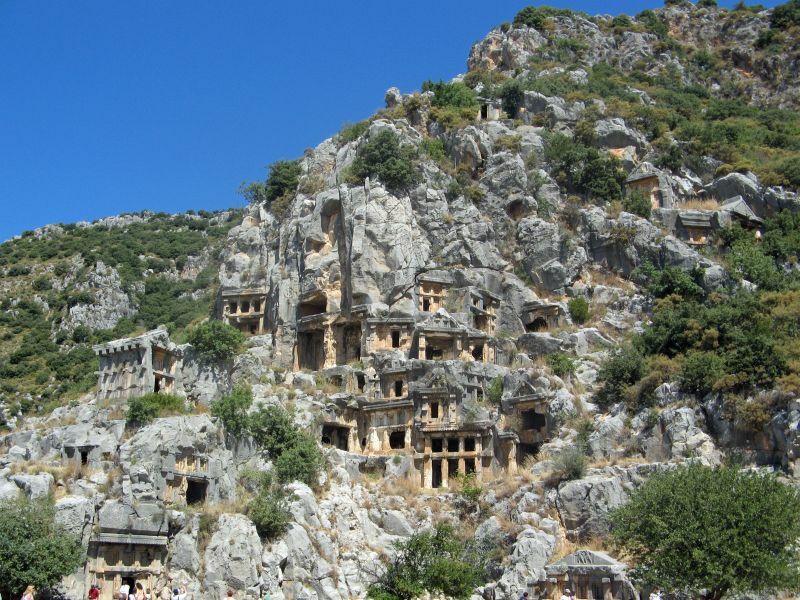 Rock-cut tombs in Myra. 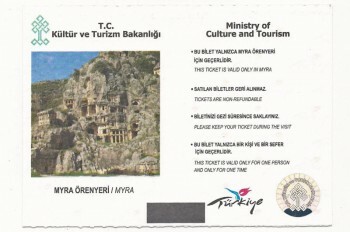 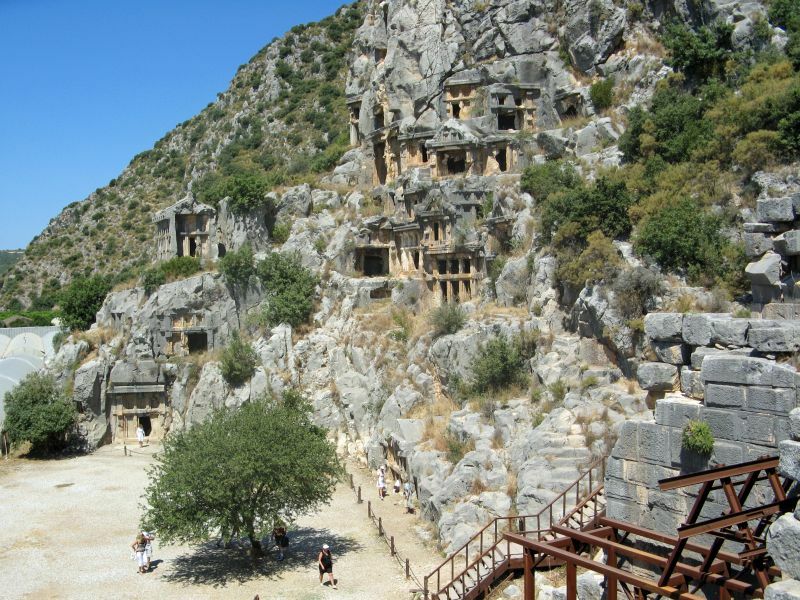 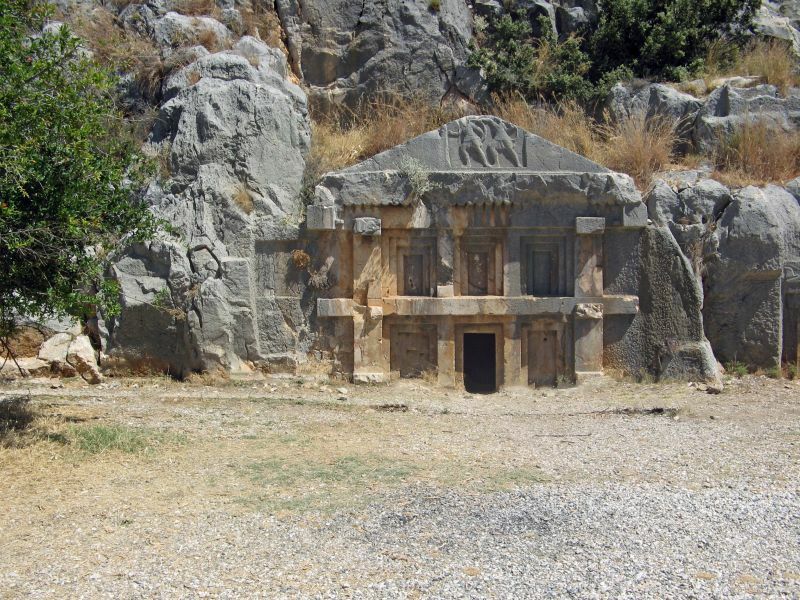 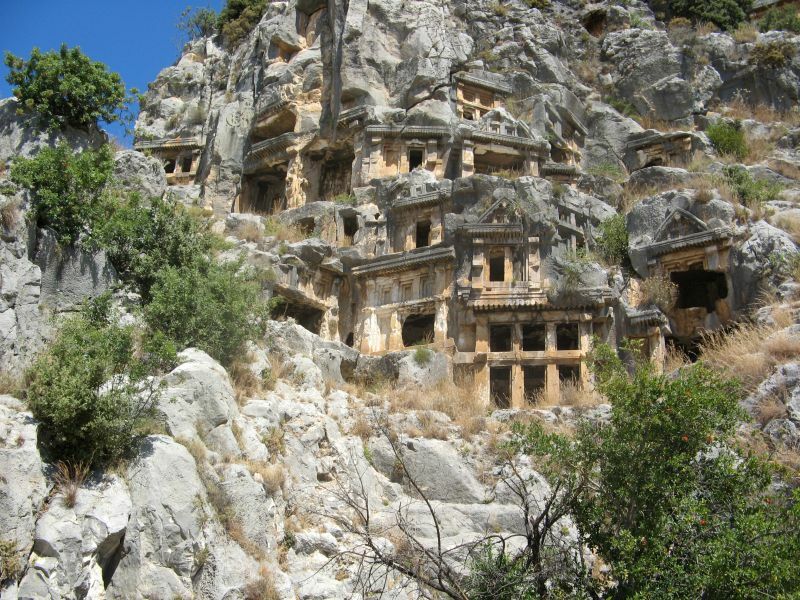 There are two necropoleis of Lycian rock-cut tombs in the form of temple fronts carved into the vertical faces of cliffs at Myra: the river necropolis and the ocean necropolis. 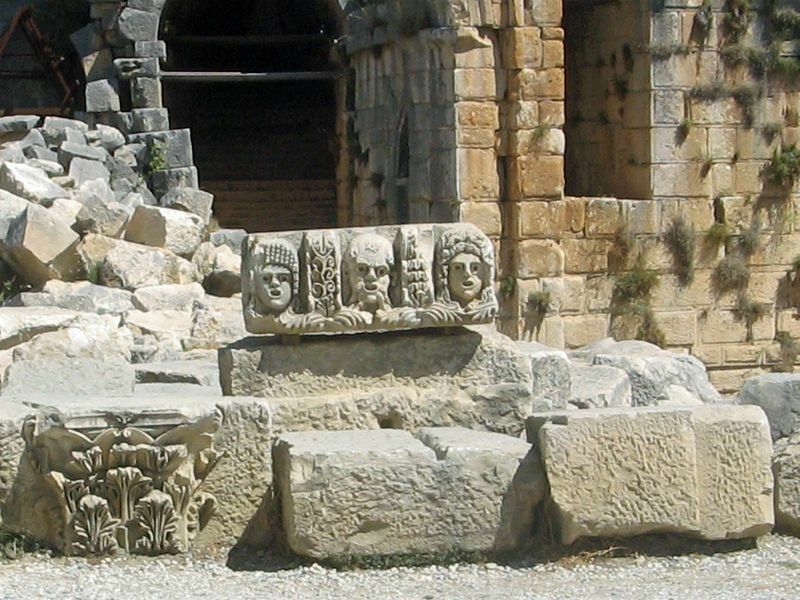 The ocean necropolis is just northwest of the theater. 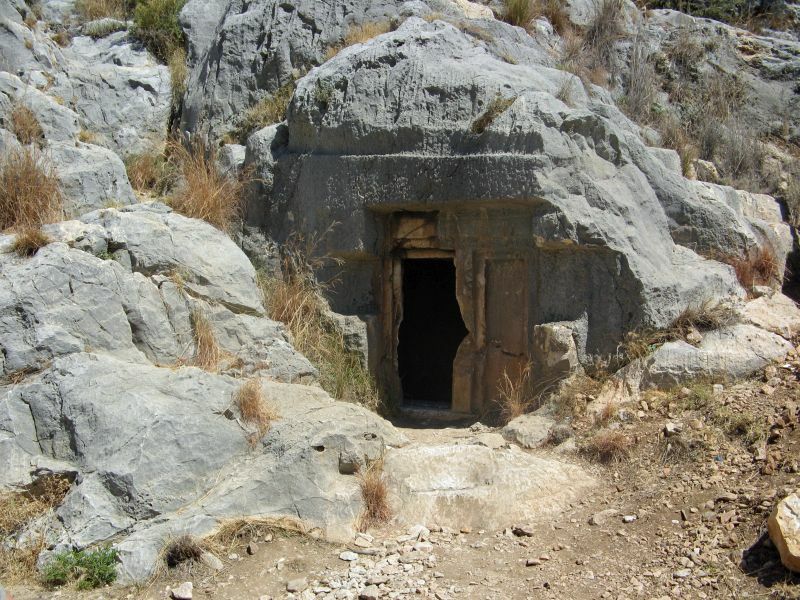 The best known tomb in the river necropolis (located 1.5 km up the Demre Cayi from the theater) is the “Lion’s tomb,”also called the “Painted Tomb.” When the traveller Charles Fellows saw the tombs in 1840 he found them still colorfully painted red, yellow and blue. 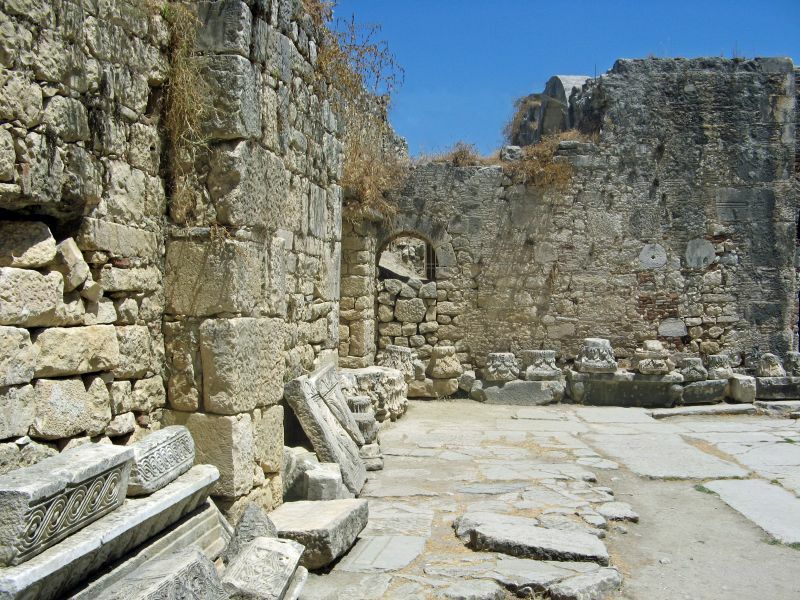 Andriake was the harbour of Myra in classical times, but silted up later on. 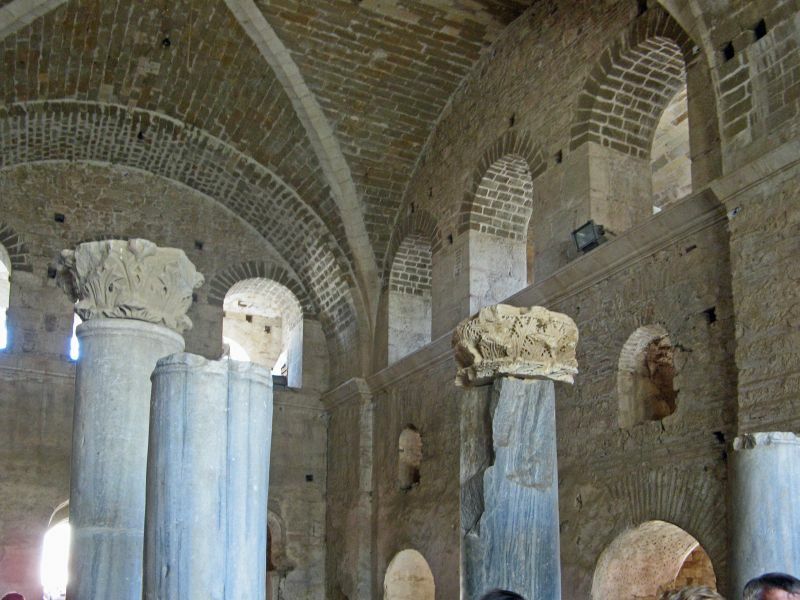 The main structure there surviving to the present day is a granary (horrea) built during the reign of the Roman emperor Hadrian (117–138 CE). 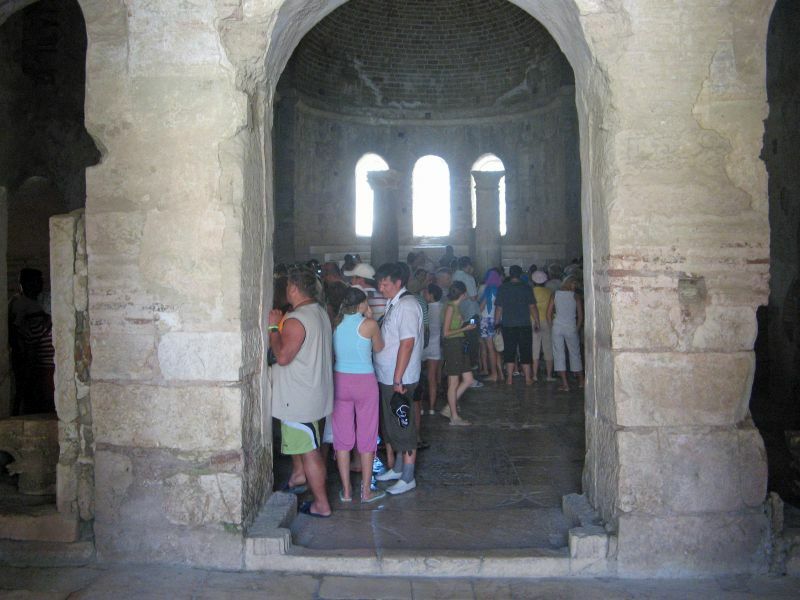 Beside this granary is a large heap of Murex shells, evidence that Andriake had an ongoing operation for the production of purple dye. 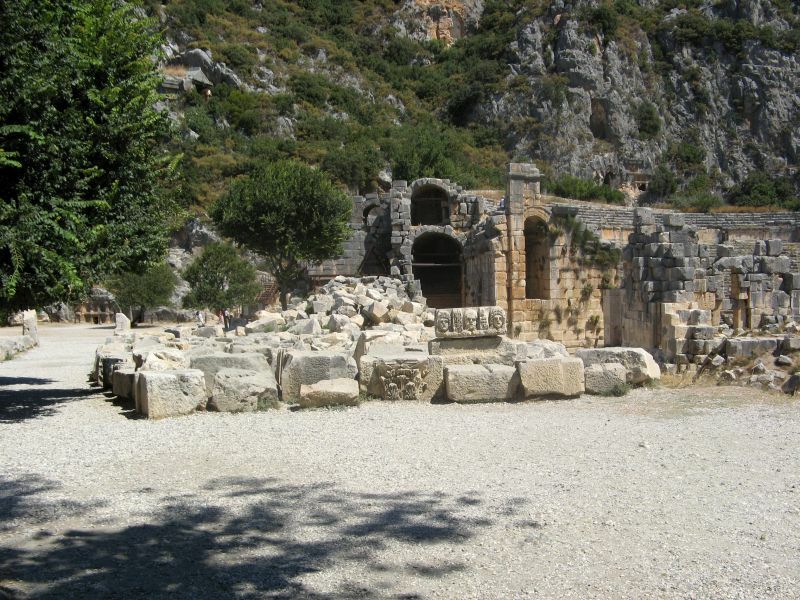 The earliest church of St. Nicholas at Myra was built in the 6th century. 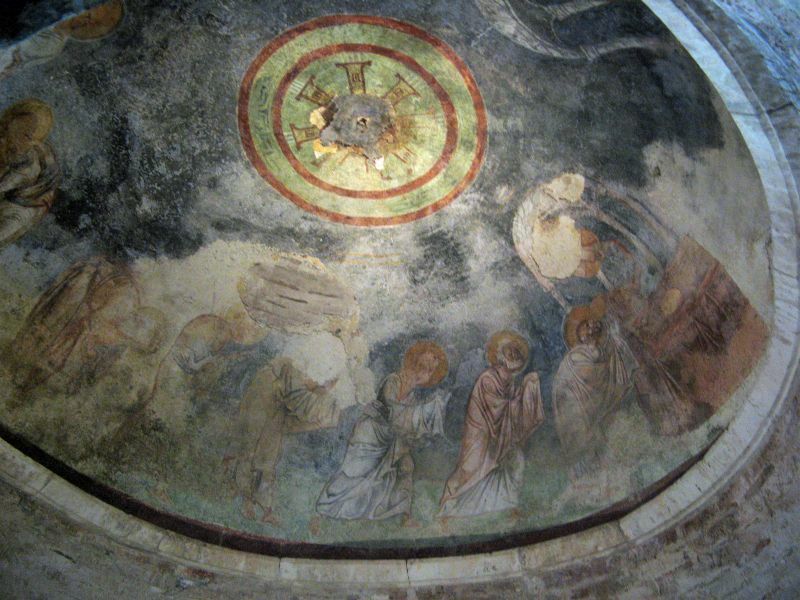 The present-day church was constructed mainly from the 8th century onward; a monastery was added in the second half of the 11th century. 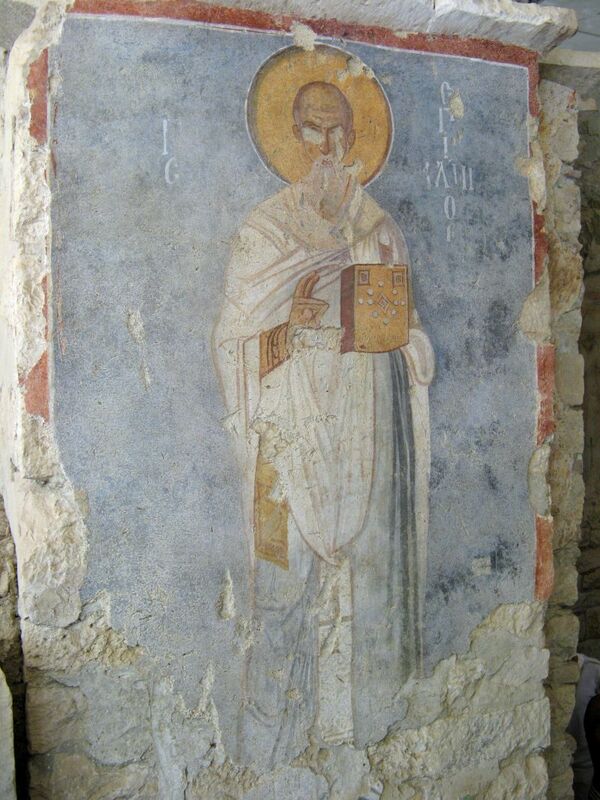 In 1863, Tsar Alexander II of Russia purchased the building and began restoration, but the work was never finished. 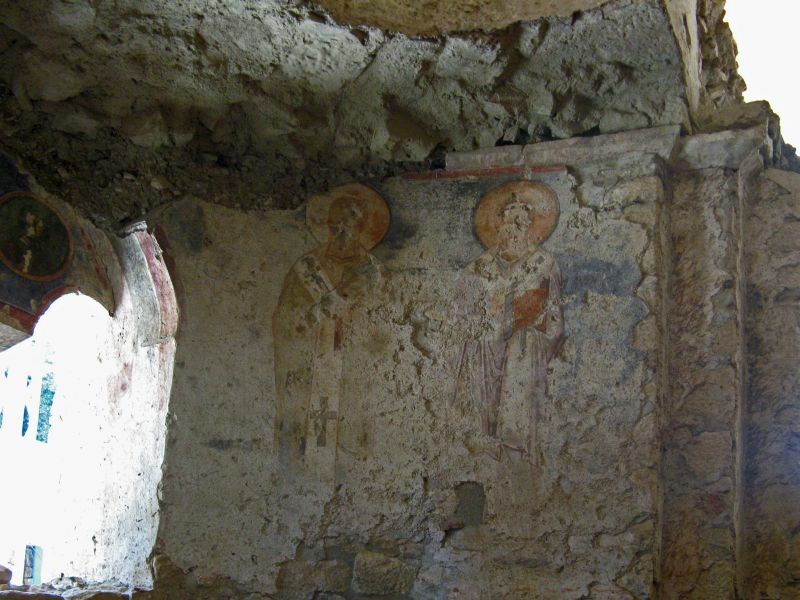 In 1963 the eastern and southern sides of the church were excavated. 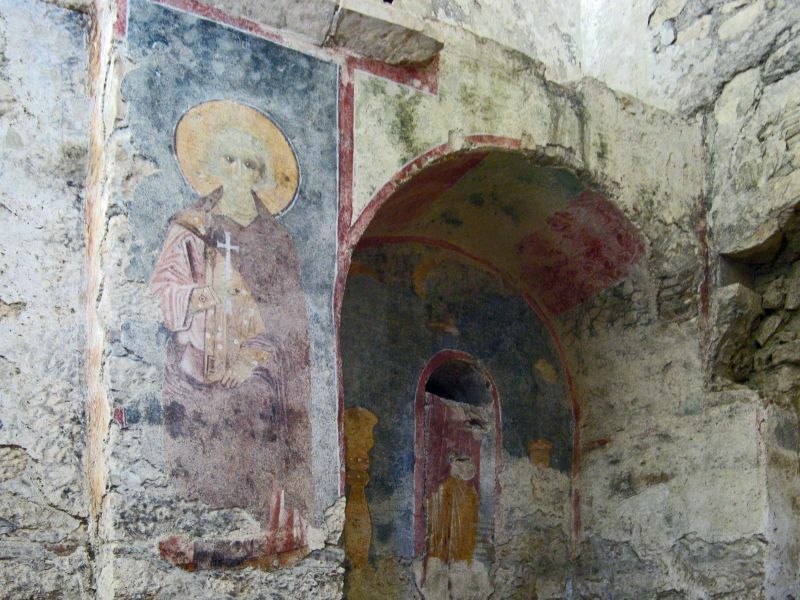 In 1968 the former confessio (tomb) of St. Nicholas was roofed over. 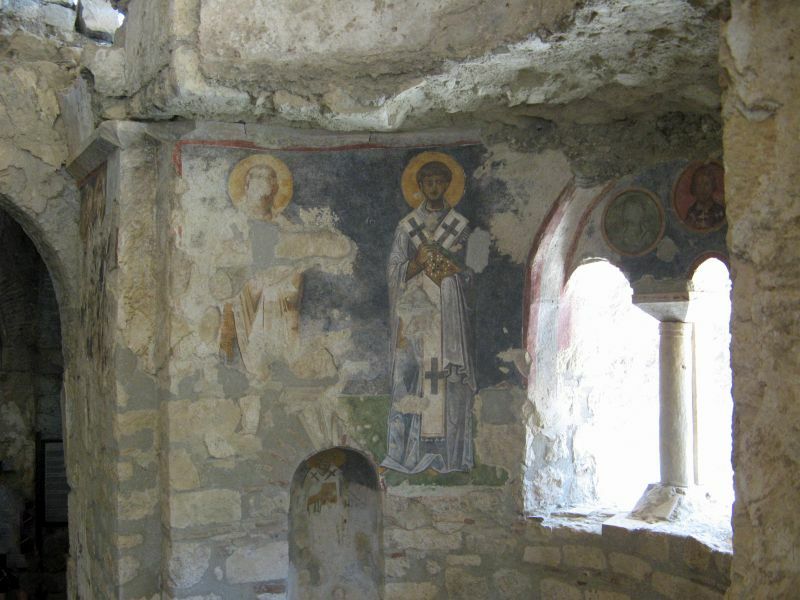 The floor of the church is made of opus sectile, a mosaic of coloured marble, and there are some remains of frescoes on the walls. 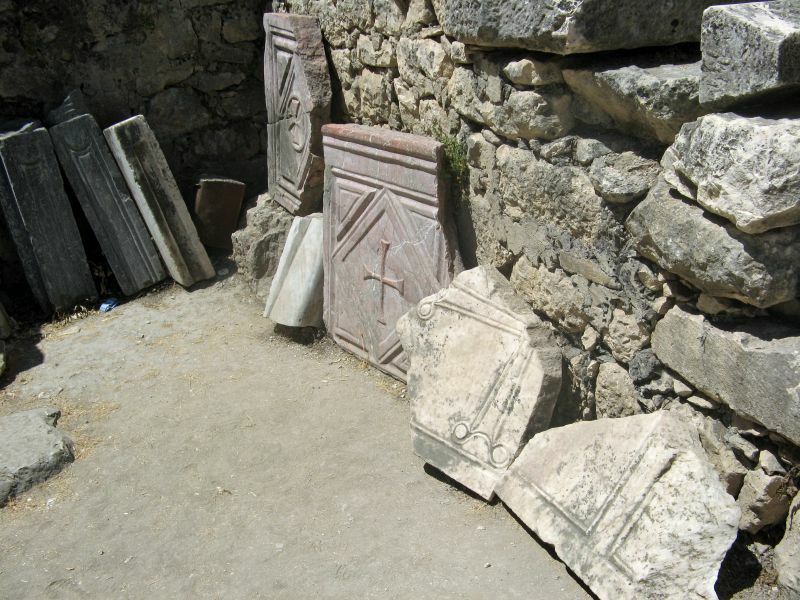 An ancient Greek marble sarcophagus had been reused to bury the Saint; but his bones were stolen in 1087 by merchants from Bari, and are now held in the cathedral of that city.